I sure do. That just gives you a hint at my age. It's a ribbed glass refrigerator water pitcher. I remember these in homes everywhere. 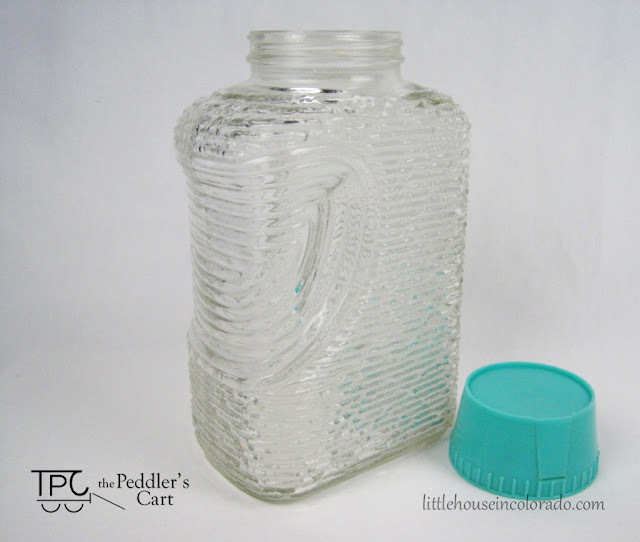 As a child I learned to pour water (or sometimes juice) very carefully simply because the container was glass. I don't think I'd would have let my own children try their hand at self-serving themselves with one of these. Now that the kids are a bit older (and now that I'm a little less uptight) I think we can mature a bit and use cool looking refrigerator pitchers like this one. 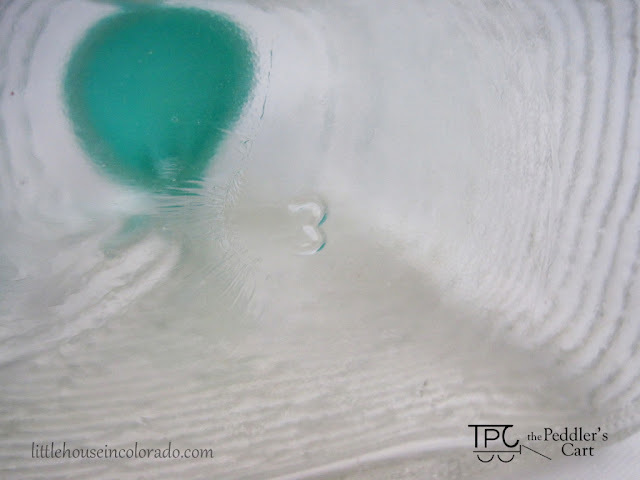 The glass is really thick and has an area specifically designed as a handle. There are no apparent scuffs and no chips or cracks. It really is in fantastic shape for it's age! 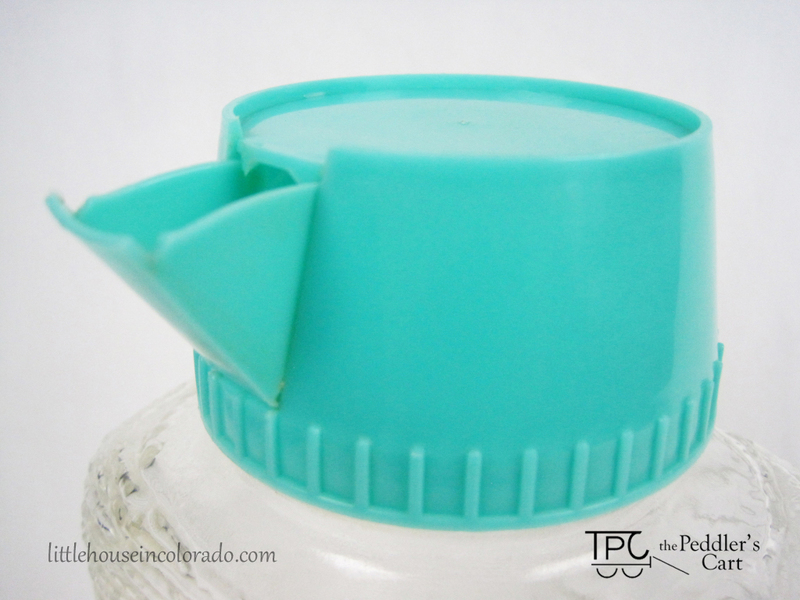 The aqua/turquoise plastic cap screws on and has a flip-open spout that works just as well now as it should have back in the day. It opens easily and snaps tightly shut (though I haven't checked to see if it's leak-proof. I have a feeling the answer to that one is "no"). I have no clue who made these. There are no manufacturer/maker marks on it. Only a lone "3" on the base. I know Anchor Hocking made some glasses with the same (or similar) texture but I can't find proof of who made this pitcher. No matter, I still love it! 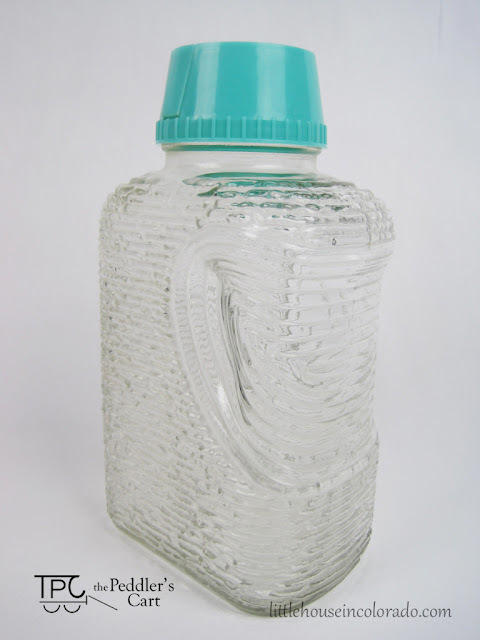 You can purchase this Ribbed Glass Refrigerator Pitcher from our Etsy shop. UPDATE: This pitcher has been sold but you can find more exciting vintage items in our Etsy shop!